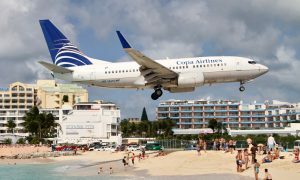 Copa Airlines has announced the addition of Holguin, Cuba, to its route network. Copa will begin nonstop flights two times a week between Holguin and Panama City, Panama, during the second quarter of 2016. With the addition of Holguin, Copa will offer service to 74 destinations in 31 countries in North, Central and South America and the Caribbean, strengthening the airline’s leadership in the region. Copa will begin operations with two flights weekly, on Tuesdays and Saturdays. Flight CM 400 will depart at 9:01 a.m. from Tocumen International Airport in Panama, arriving at Frank País International Airport in Holguin at 12:31 p.m. 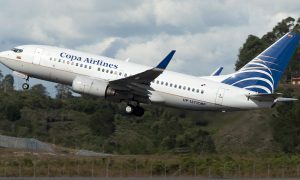 The return flight, CM 0401, will depart Holguín at 1:21 p.m., arriving in Panama at 2:47 p.m.
Copa Airlines has timed the flight for rapid, convenient connections at the Hub of the Americas in Panama to Mexico City, Cancun, Santo Domingo, Caracas, and other major cities on the continent.